Track Alerts had a great interview with Glen Mills, in case you missed it. There’s aren’t any secrets here, but the best part of the Q&A was “the last word” on Mills on the state of the sport. Canada and the USA aren’t the only ones having problems keeping and retaining young elite athletes and the different type of struggles that go along with it, including financial challenges. Just because you have Usain Bolt on your team doesn’t mean everyone is living the high life. Below is a snippet from Track Alerts. Visit their site for the full article. TA: Outside of Jamaica, are there any other interests? I know Daniel Bailey from Antigua is here, and a couple of Brits. GM: “No, but we do get a lot of requests from all over the world…it’s difficult though, for foreigners to come and settle here easily, because most times it’s just one person and a lot of them find it difficult to blend into the Jamaican psyche. Then some of them have all kinds of fears based on the publicity the country gets sometimes, but we do get a lot of requests. These requests are vetted and investigated and a lot of the people we determine wouldn’t fit into our programme…"
TA: Where are these requests from, USA and England? GM: “All over the world, from American, Europe, Africa, India, Bangladesh, Japan, you name it. Coach Cameron deals with a significant portion of the quarter milers, but I also coach quite a number of the quarter milers … What we’re trying to build is an institution that even when I am gone, will be able to provide the kind of high quality preparation for athletes. It is clear that we will have to expand and develop more in Jamaica if we are to be serious about the track & field thing … because we are going to have to do it ourselves to get really high quality results. College athletes don’t do that great either…but you will find the exception, but it’s usually after college before they really click. Right now there’s a handful of athletes who train overseas that are commanding space on our team, Veronica is in a class by herself, probably the greatest female sprinter of all time based on her achievements. There are a couple others, but regardless, Jamaica is going to have to get it done eventually and we are very slow in the vision because everybody the government, the JAAA, the private section need to pump more into track & field at the senior level. Even we are having a struggle, a struggle to get real development finances, because the athletes who go out and compete need their money and you cannot look to them to provide more than the reasonable percentage that they pay for your services. It is even a difficulty to get gear. We have a sponsor in Adidas and its difficult to get the equipment for the developing athletes, not even for the ones with contracts with the various companies being Puma, Nike etc…It’s difficult to get the equipment coming into Jamaica. Right now we are starting our season and we don’t have our 2011-2012 equipment as yet because we are waiting on waivers so that they can be shipped. The longer it takes is the more risks the athletes will take of getting injured during training, because there are some special technology shoe for people with pronated feet, shin problems and all those various things. 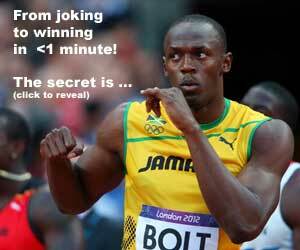 READ The Perfect 4x100m Relay? Jimson, I clicked on the TrackAlerts link you assigned but could not located said interview. I would like to read the complete interview as I am a huge fan of Coach Mills. If you can redirect or give a more precise location within the website I would appreciate it. I look forward to seeing you later this month in California.